Combination skin can be a little tricky to work with. A mix of oily and dry skin, you need special products and special care to ensure your skin is well nourished and taken care of. Combination skin is the type of skin in which some parts of your skin are dry while others are oily. Most people who have combination skin will have an oily T zone (forehead, nose and chin) while the areas around the mouth and cheeks will be dry. Summers are difficult for those with oily skin, as on the one hand you want to reduce the sweat and oiliness, but also want to take care of the dryness. It may be a little difficult to find products that are specifically created for combination skin. These are few and limited, and sometimes, may not even work well on everyone. A good way to work with your skin is to try and use some homemade mixes that will soothe the skin while taking care of the problem areas. 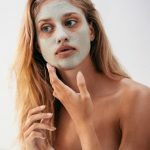 Following 5 are the best DIY summer face packs that you should try if you have combination skin. Honey and yogurt are known for their cooling effect on skin. They will help combat dryness and provide moisture to your skin. Rose water will control the oiliness while giving your skin an added freshness, especially during the summers. It also acts as a good sun protector. Mix will to get a smooth paste. Oats will help scrub off the excess oil from the skin, while almonds will add nourishment back to dry skin. Multanimitti is a major ingredient in almost all face packs that are made in Indian homes and even in those that are available in the market. Multanimitti alone has a tendency to aggravate dry skin conditions. It is best to always add rose water to the same to make sure your skin gets the required moisture too. Apply to your face till it dries and then wash off with regular water. This helps to soothe and refresh the skin. Grate half a cucumber and add 1 tsp of honey and half a tsp of milk cream to it. Place 2 cucumber slices on your eyes. Wash off when dry or after 15 to 20 minutes. Honey and bananas are excellent natural moisturizers. Yogurt softens and hydrates skin. Oats and papaya exfoliate and remove dead skin cells. Vitamin E oils in almonds nourish the skin. Rose water helps to balance out the dry and oily skin areas. Multanimitti and cucumbers are cool and refreshing. There is a wealth of benefits present in these packs. Try out the one best suited to your skin. 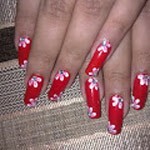 With all this artillery in your kitty, you are beautifully ready to face the summers.